The giant silver disc of the moon flung itself headlong across the night towards earth. Jamie turned and caught the sight of it, full and cold, at the point of smashing into the earth, deflect and slide up the backside of the hill. In that instant the silhouette of a woman, young, barefoot, free, ran across the face of the moon. The madwoman picks her nervous way along the tide line. . The long black dress drags through the water. She glares out of two shockingly black malicious eyes. She is scarecrow, tall. Her hair springs out of her head in a wild tangle of darkness. The dark cloth hangs menacingly on her bones, fluttering in the wind so that as she approaches she takes on the vague blackness of an apparition. The screen door shuts behind Moser. The metal hook swings against the doorframe. The boy will be gone in another week, graduated out of the school, out of his life. The teacher has forced a scholarship on the boy but he knows that means nothing to Adam. From now on the boy will feed only on what he needs for his work; will take only what fuels his own creativity, devour the center and leave the rest to be picked at by scholars and English teachers. There is nothing anyone can teach the boy that will save him. The boy is Icarus. His fate has already been written. The teacher stares into the thick haze that smothers the city and obliterates the sky. It irritates him that the boy would see stars there, instead, great brilliant orbs crashing against one another in the dark, sparks skittering off into the outer galaxies, blazing a trail of great white arcs across the sky. The boy, standing there in Moser’s place, would feel the flutter of giant wings against his face, slip into harness, the great sinews become his own. The boy would strain against night, against gravity, use the rush and whip of darkness to free himself, rise, burst through physical bonds until the earth fell away beneath him, soft shadowed trees slipped past underneath, and the cold pure slipstream of the universe caught him up. Moser steps in a fresh pile of dog feces and swears, returns to the house and the kitchen table and the pile of student essays which he will conscientiously read through the rest of the long night. 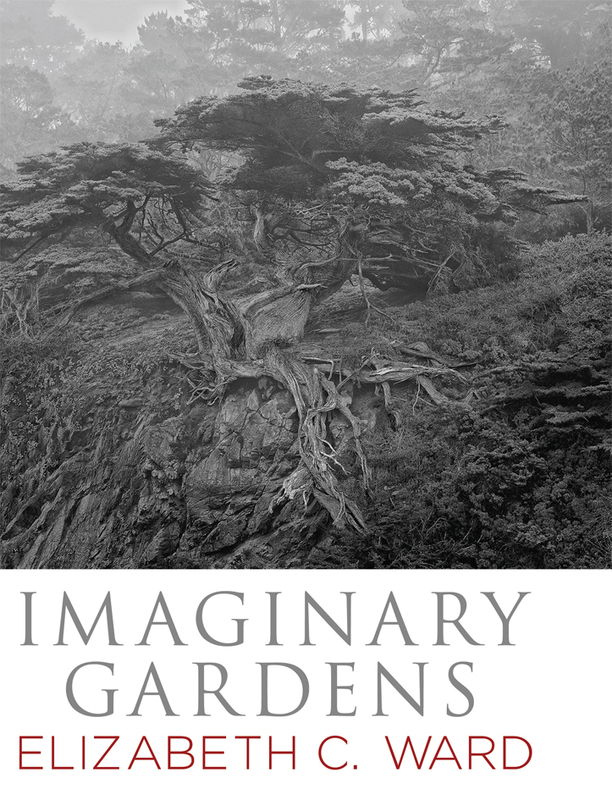 The gardens in Imaginary Gardens by Elizabeth C. Ward, both real and imagined, are as varied and restless as the Big Sur under a full moon; long white beaches where madwomen dig for shells; sun-gold walled gardens and gardens created in the dark night of the mind. In this collection of dense, rich stories, it is life that dominates, relentless in its sole purpose: the creation of more life. The battle is waged between youth and the old, innocence and knowledge, life and art; the burning of autumn leaves and spring’s stubborn and glorious renewal. And always, in Ward’s stories, life wins.